Don't Worry Be Happy: Pepper! whoa. 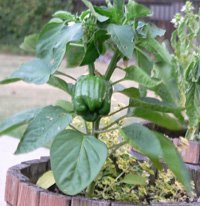 you grew a pepper! that's very impressive!